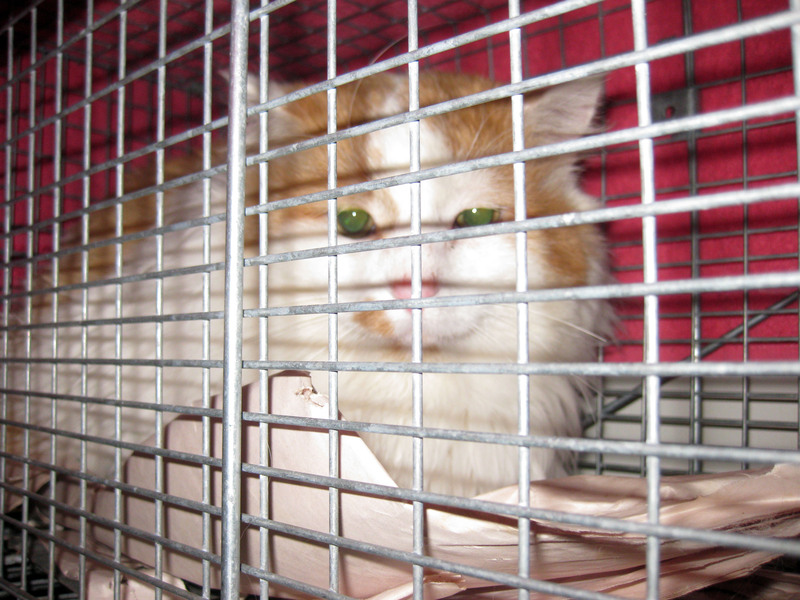 Today, Feral Fixers brought in 11 more cats to the PAWS-Chicago Spay/Neuter clinic to be fixed. 10 of these cats were Friendly Ferals while the remaining cat was a Feral. 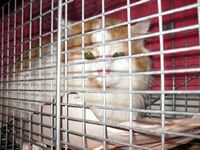 Normally, in winter, especially this winter, it is much too cold to trap a Feral, have it operated on and then returned to the outdoors. Marvin, however, is a special case; our President, Tammy McAuley, describes him thusly; "Marvin is a feral that is going to come inside - tryin' it out, seein' if it's right for him..." He will come inside, but will not (yet) let his caretaker pet him (though he allows it if he's outdoors) - he's definitely sitting on the fence. But as he has an inside 'retreat', it was OK to have him fixed today. Both of them picture thumbnails show Marvin at PAWS today. Click on them to see a full size picture and visit our Photo Gallery to see more photos of Marvin's "Special Day"! And, Marvin represents the 6,000th cat that Feral Fixers has had spayed/neutered since its inception. That's a lot of cats by anybody's counting and it represents the hard work and organizational capabilities of Tammy McAuley and the myriad of volunteers and supporters she has enlisted over the past 6+ years. 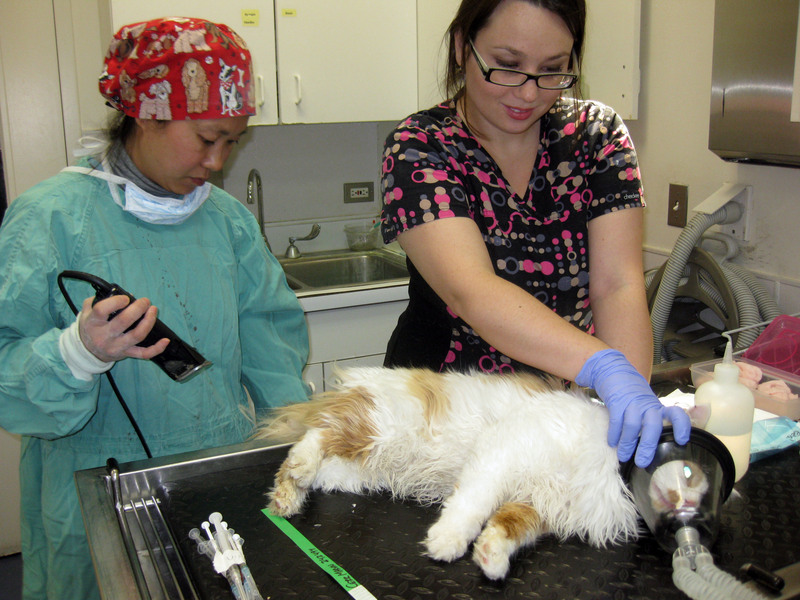 It also represents the best of our partner, the PAWS-Chicago Spay/Neuter clinic. I've written about this place many times before - they are a fantastic partner and there is no way we would have been able to get all of these cats done in this time period without them - Thank you PAWS! And thank you to everyone who has supported us, in any way, since we have started operations. I've said it before and will say it again; WE COULDN'T DO IT WITHOUT YOU! With these 11 cats, Feral Fixers has now processed 28 cats for January (and for the year) and 6,004 overall. On to 7,000!